In TIG welding (Tungsten inert gas), the welding arc is formed between a non-consumable tungsten electrode and the work piece. 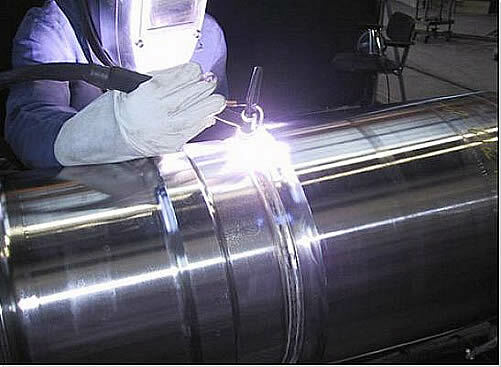 The shielding gas is an inert gas that does not affect the welding process per se. Usually the shielding gas is argon and it protects not only the molten weld but also the electrode in the torch from oxygenation. 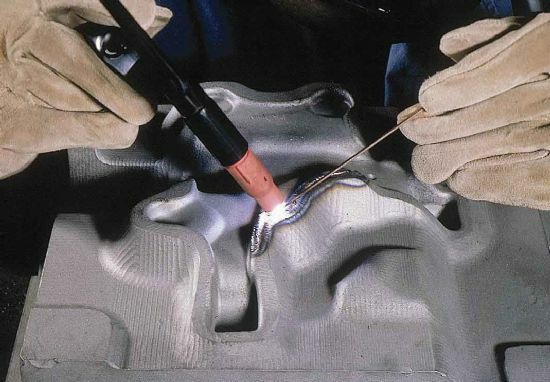 A filler material may not be necessary in TIG welding. The pieces can be fused also by melting the groove together. 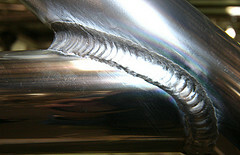 If a filler is used, it is fed into the molten weld manually and not through the weld torch as in MIG/MAG welding. 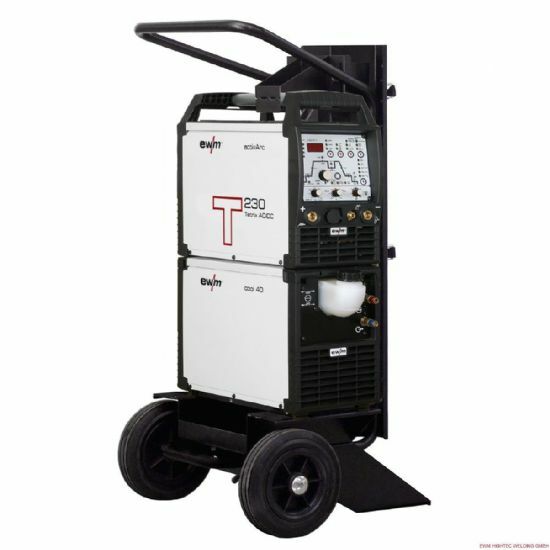 Therefore, the TIG welding torch has a completely different structure than a MIG/MAG torch. Various TIG welding methods include, for example, the DC TIG welding method that uses direct current, AC TIG welding that utilises alternating current, and pulse TIG.